Ever since the 2011 Oscars, the name Anne Hathaway has been associated with eye rolls, groans and general dissatisfaction. As a fan of Hathaway’s since her Princess Diaries days, I never really caught a case of Hathahate, which is why I’m especially excited for her new leading role in The Intern . 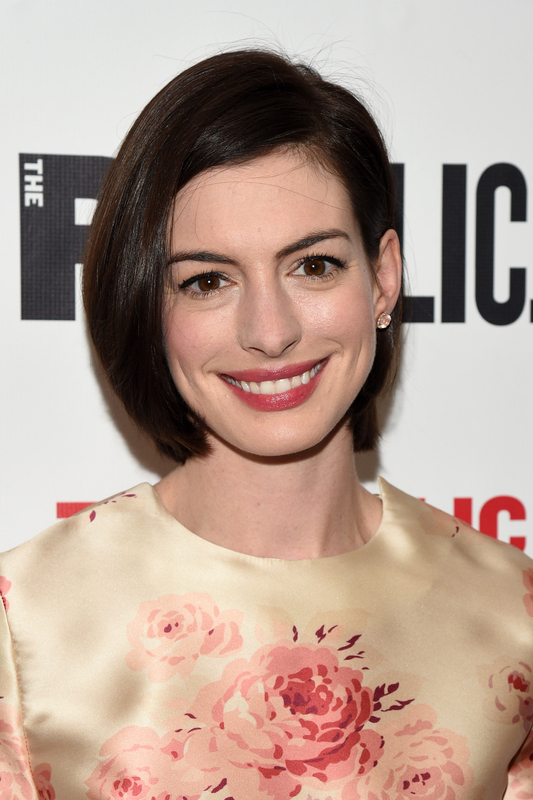 I’m hoping that time has softened the hearts of the masses, and that the public is willing to bring Anne back into their lives and see Hathaway in The Intern when it opens Sept. 25. After winning Best Supporting Actress at the 2013 Oscars, Hathaway didn’t have it easy in Hollywood. Instead of being able to revel in her accomplishment, she was bullied by the public and her industry. From comments about how poor of a host she was at the 2011 Oscars to what was deemed a distasteful 2013 Best Supporting Actress acceptance speech, negativity seemed to follow Hathaway wherever she went. "I had directors say to me, 'I think you're great. You're perfect for this role, but I don't know how audiences will accept you because of all this stuff, this baggage,” she told Harper's Bazaar recently. Even an Anne fan like myself can admit she didn’t handle the Oscars with the grace and poise you’d expect from a princess. But, everyone, especially those who own up to their flaws and learn from their mistakes, as Hathaway has (she told Bazaar that despite the backlash, she doesn't feel sorry for herself), deserves a second chance, right? Especially when the movie they're in is so worth seeing. Hathalover or Hathahater, here’s why you should get the group together and see the actress in The Intern when it opens in theaters later this month. Jules Ostin (Hathaway) is the founder and CEO of an online fashion site, where Ben Whittaker (Robert De Niro) decides to intern after coming out of retirement. 20 years ago, this movie might not have been green lit; it may have even been called absurd. Today, however, we’re slowly beginning to see a positive shift in women taking the lead, both on- and off-screen. More and more female millennials want to be CEOs, according to a recent study published by KRC Research and Weber Shandwick. A film portraying a young woman in a leadership role isn’t only inspiring, but is also a more accurate depiction of how the corporate world is progressing today. A woman can have her flaws and still be a powerhouse professional. Whether you’re a college student trying to survive Intro to Public Speaking, just beginning your climb up the corporate ladder, or are an experienced professional, we all have our flaws and little quirks that cause stress and grief. It’s refreshing to see a woman like Jules navigate the pitfalls of the startup world, while reminding us to find it inside of ourselves to always lead with confidence. Normally, when you have a strong male and female lead, you’d expect to see a romantic comedy (or perhaps in this case, due to the cast's ages, some type of father/daughter story.) But The Intern is nothing like that. This movie is a subtle reminder of how important it is to nurture all of the relationships in our lives, because everyone we meet (no matter how old they are) has value and the potential to positively impact our lives. In addition to Hathaway and De Niro, The Intern also stars Nat Wolff, Adam DeVine and Andrew Rannells. This dynamic, hilarious cast is reason enough to check the movie out. Does the name Nancy Meyers sound familiar to you? If not, you’ve most likely heard of some of the other films she’s directed: It’s Complicated, Something’s Gotta Give, The Parent Trap, and everyone’s favorite guilty pleasure, The Holiday. Meyers is known for her ability to write great parts for adults in all of her movies (and for being one of the most successful female directors ever), so De Niro’s role as a fashion website intern is sure to be the perfect combination of endearing and hysterical. Whether you were once an intern yourself, struggling to keep your composure and leave a positive lasting impression, or a more experienced professional, trying to find that mythical “work-life balance” you keep hearing about, you've probably been in Jules’ and Ben’s shoes at some point in your life. Seeing a movie like The Intern is a reminder that you’re not alone; finding success takes a lot of work, a lot of laughter, and a lot of support from your friends, family, coworkers, and yes, even your interns. It's time to get over your Hathahate and see her in her latest film, because this is one you won't want to miss.